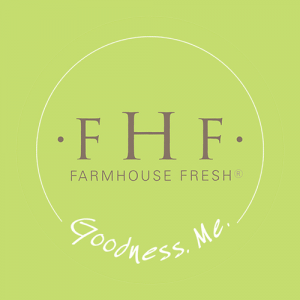 At FarmHouse Fresh, we dream, develop, and hand assemble exquisite gifts that bring delight with every use. Whimsical. Nostalgic. Giftable to even your finickiest friends. Each product is made with up to 99.6% NATURAL & naturally-derived ingredients. Everything we make is Paraben & Sulfate FREE & our fragrances are all natural or phthalate free.” Many of their products are also Vegan & Gluten Free. They have a LOVE for crafting complex & scrumptious fragrances, but also offer a range of products only made with essential oils if that is your preference!